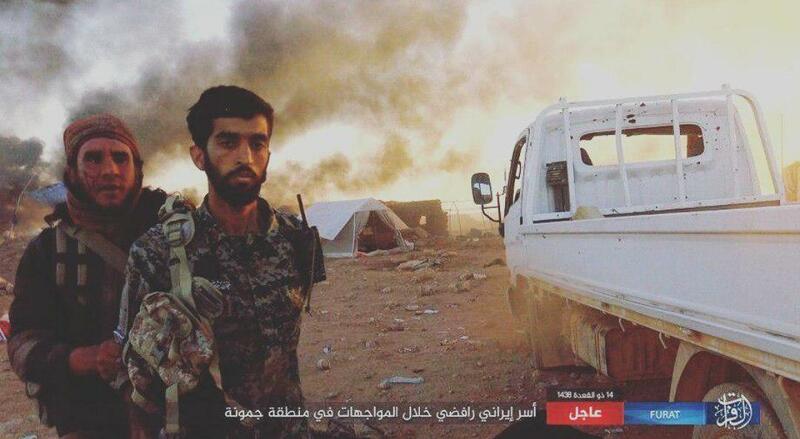 The Islamic Revolution Guards Corps (IRGC) says it will retaliate against the Takfiri terrorists who recently beheaded a young Iranian resistance fighter in Syria. Mohsen Hojaji, who was a member of the Iranian advisory support team in Syria, was taken hostage by ISIS Takfiri terrorists near the Iraqi border on August 7, 2017 and decapitated two days later. Brigadier General Mohammad Pakpour, the commander of the IRGC Ground Force, said in a message that the IRGC will take vengeance upon the perpetrators of this brutal act. “Dear Mohsen, your comrades … at the IRGC Ground Force … will take revenge on them (terrorists) for their heinous crime,” said the top general. In the meantime, Major General Qassem Soleimani, the commander of the IRGC Quds Force, also reassured the family of martyred Hojaji that the IRGC will avenge his killing. “Thousands of such crimes have been committed in Iraq and Syria against Muslims, Shiites and Sunnis alike, and the only result of such crimes is that they will increase the Islamic community’s awareness of the nature and wickedness of these Takfiri terrorists, and will make us more determined and stronger in purging them from the Islamic land,” said general Soleimani. General Soleimani said the “horrific, inhumane crime” came in the wake of successive blows dealt on several fronts to Takfiri-Wahhabi terror groups. “The atrocity does not fall within any Islamic, or even humanitarian, principle or law,” he said. He vowed to press ahead with the fight against the ISIS terror group until no one of them is left alive.